What are Sev and Tareth up to you ask? PSHAW I SAY! Let's eavesdrop on the ritualist some more instead. 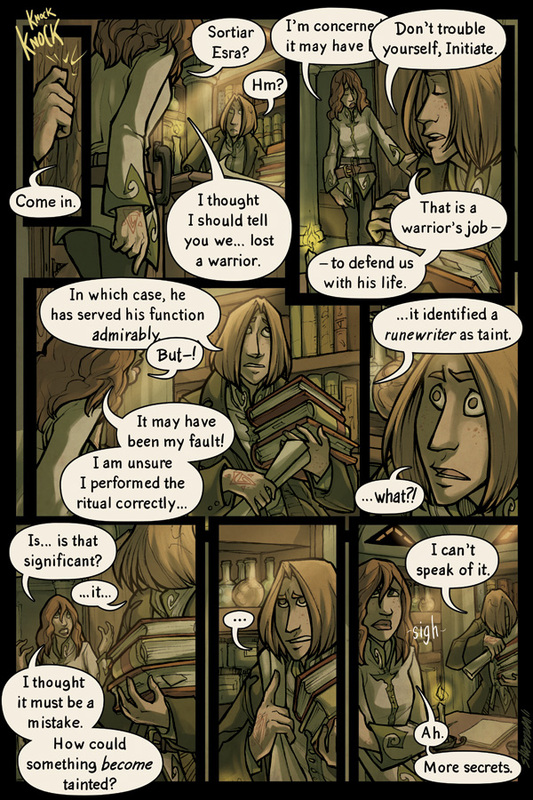 And you can vote on TopWebComics to see my process for this page! This one also has some sketches tacked on, since I hadn't drawn Esra in a long time and needed to remember what he looks like.